Sure, “love” is an easy target for songs. Who hasn’t felt love? Who doesn’t identify with all the sappy goodness those songs bring? To craft a song about monsters, however, is a slightly different matter. From vampires, to werewolves, to creatures unimaginable, it’s much more difficult to pencil a ditty that has the same staying power. Despite the odds, though, these artists have managed to forge some pretty memorable tunes about monsters and things unknown. Not just for Halloween, these jams are ready to rock the house all year ’round. Without further ado, here are 20 songs about monsters that you need to put on your playlist right now. 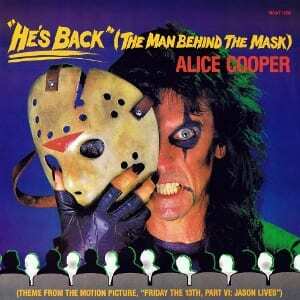 For classic shock-rock, you need look no further than Alice Cooper. From the vast library of Cooper tunes, we have chosen “The Man Behind The Mask.” It’s from the Friday the 13th franchise. The man behind the mask is, indeed, none other than Jason Voorhees. 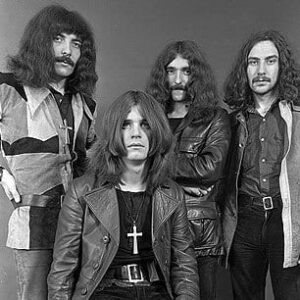 When Ozzy Osbourne and Black Sabbath parted ways, one thing that was not left behind was a penchant for the dark and supernatural. 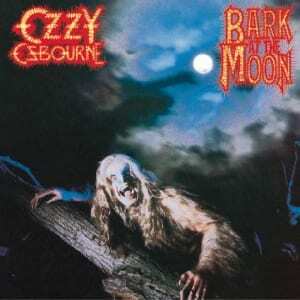 Bark at the Moon wasn’t Ozzy’s first foray into the dark, but it might be his best known. 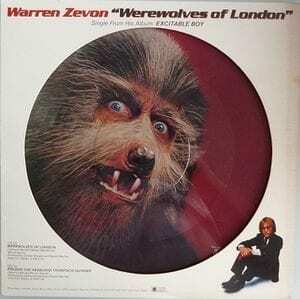 On the title track from the Bark at the Moon album, Ozzy tells the tale of a man who might be a werewolf. He might have a Jeckyl & Hyde thing happening. We don’t know for sure. We do know, however, that we wouldn’t want to be caught alone with it. If there was ever an ultimate “one hit wonder,” this could very well be it. Originally released in 1962, this novelty song gets dusted off for a month every year and played on just about every radio station from coast to coast… and for good reason. Its production value for that era was top notch and the lyrics make it sound like one monster party you wouldn’t want to miss. This late-’70s gem from iconic songwriter, Warren Zevon, is arguably his most notorious work. In its embryonic stages, it was a meandering 15-minute journey Zevon described as, “a dumb song for smart people.” Originally suggested to him by Phil Everly (The Everly Brothers), its combination of humor, danger and sing-songy “Aahoooh!” are all classic Zevon at work. Like “The Monster Mash,” “The Purple People Eater” resurfaces every October and people of all ages can’t help but sing along. 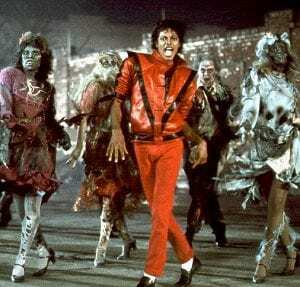 When it was originally released in 1958, however, it wasn’t intended to be a Halloween song, per se. Indeed, it actually spent five weeks at number one on the Billboard singles chart from June 9 to July 14! As with many success stories, MGM Records actually turned this song down until it noticed all of the young people in the office enjoying it. 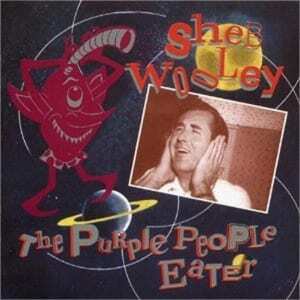 To date, it’s Sheb Wooley’s biggest hit… by far. Few figures in American pop culture have touched a nerve quite the way Marilyn Manson did in the late ’90s. A man many proclaimed to be the antichrist embraced the role and released his magnum opus, Antichrist Superstar. The album, a concept album, deals with the way society alienates certain members and, in the extreme, the antichrist is not born into this world, but created by said world. Shortly after its release, many conservative Christians began blaming every societal woe on Manson, which gave him more press than he could have ever bought. If we have learned one thing from the legions of songs in the Western canon, it’s that everybody deserves love. 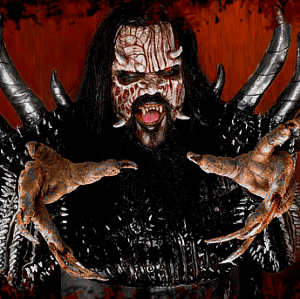 Lordi, however, pushes that notion to its very limits in the song, “Would You Love a Monsterman?” Indeed, playing on their Gwar-like costumes and special effects, Mr. Lordi plies his powers of persuasion with lyrics, such as “Yeah I would slay/ Yeah I would maim/ Yeah I would vanish in thin air/ And reappear again.” If that isn’t love, we’re not sure what is. When a song is an instrumental, it can be difficult to discern its meaning. 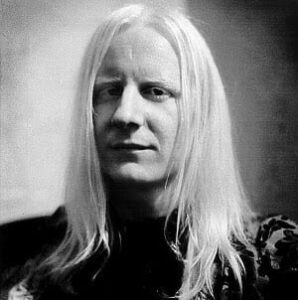 With Edgar Winter’s “Frankenstien,” however, we know exactly how this funk-rock masterpiece got its name. 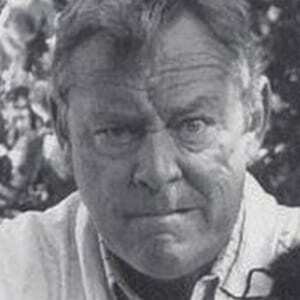 Drummer, Chuck Riff, once explained that the original version of the song was much, much longer. 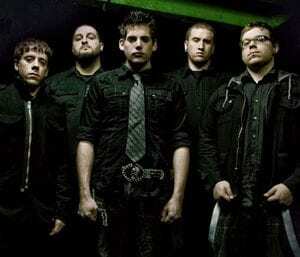 To get it short enough to play on radio, they had to literally splice together many different parts of the song into a new, cohesive song arrangement. Like Frankenstein’s monster, this hit lumbered all the way to number one on the Billboard charts, knocking none other than Sir Paul McCartney out of the number one spot! 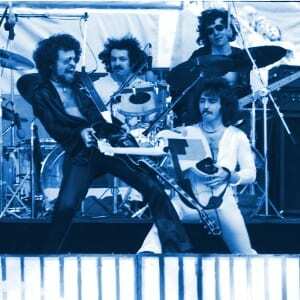 Songs like “(Don’t Fear) The Reaper” and “Astronomy” have proved that Blue Oyster Cult had no qualms whatsoever about eschewing traditional pop song topics in favor of something a little more sensational. Perhaps no other song in their catalog pulls it off with such humorous aplomb as “Godzilla.” This tribute to the Japanese monster extraordinaire features such classic lines as “He picks up a bus and he throws it back down, as he wades through the buildings toward the center of town.” Instant classic. It’s no surprise to see some of the artists on this list. 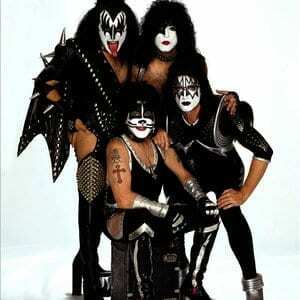 They have made a career of shock rock, special effects, and embracing dark themes as a regular part of their songwriting. 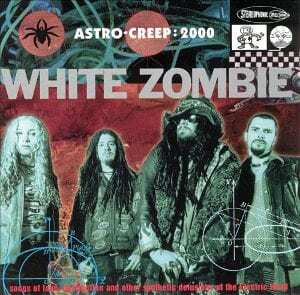 It’s only natural, then, that White Zombie, too, is on this list. We could have thrown a dart and hit any number of songs that fit perfectly on this list, but we decided on “Creature of the Wheel.” It’s crushing, plodding riff encapsulates a mood and lyrics like “New God kill machine and man say Lord of the engines” drive it on home! The title track from the highest selling album of all time absolutely deserves to be on this list. The spooky lyrics are just the start. Add the voice of horror icon, Vincent Price and we are really getting the hairs standing on end. What REALLY earns this song a spot on the list, though, is the music video for the song. It was a short movie, with a full cast, heavy costumes and special effects, and top-notch choreography. Indeed, the King of Pop had no qualms about trying his hand at being the King of Shock, too. Like “The Man Behind the Mask” earlier on this list, “Dream Warriors” also comes from a classic horror flick franchise. 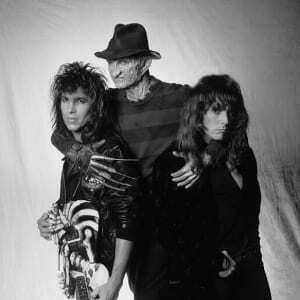 Penned for A Nightmare on Elm Street 3: Dream Warriors and released on Dokken’s 1987 album, Back for the Attack, it was Dokken’s send-highest charting song ever. The video contains some footage from the movie, as well as special effects that make it appear that the band is interacting with movie. From a metaphorical butcher, we move to a song about an actual butcher. This song, from Slayer’s thrash metal leviathan, Seasons in the Abyss, is, well… gruesome. Let’s just cut to the chase (pun intended). It’s about serial killer, Ed Gein, who used to murder people, then cut their skin off and wear it. Slayer, you so nutty. 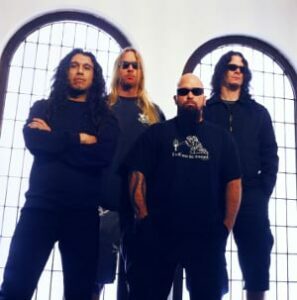 As much as Slayer were masters of the macabre, their Bay Area brethren in Megadeth have always had a predilection for topics such as politics, war, and technology. All three of those topics come together perfectly in “Psychotron” — a little ditty about bionically-engineered soldier that is a “non-stop combatant.” Ironically, this is one of the monster on this list may actually become a reality… if it isn’t already. Let’s see, we have had Frankenstein and werewolves represented. 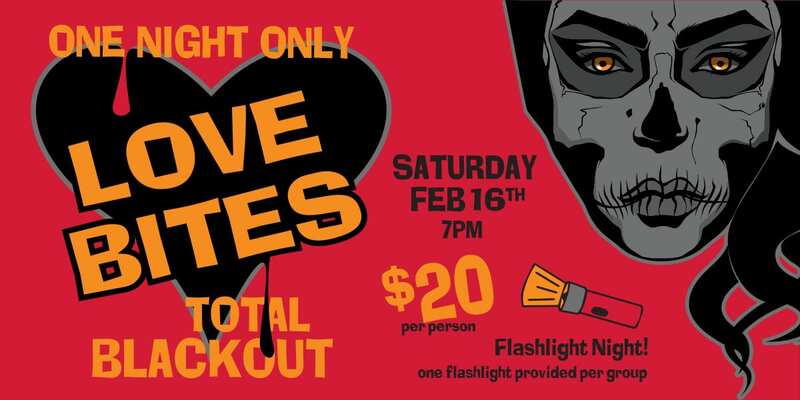 It’s time we get in on some vampire action. 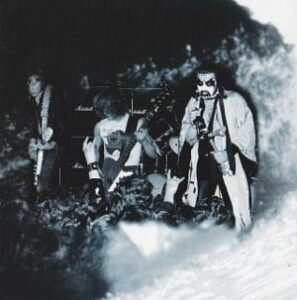 Based on the 1943 Bela Legosi flick of the same name, “Return of the Vampire” by Danish metal maestros, Mercyful Fate, play on the vampire’s most daunting characteristic: the chase. Lines like “Return of the Vampire/ Leaving his lair/ He’s out for blood and it’s yours he will share,” make any room about 10 degrees cooler when you say them aloud. Go ahead. Try it. No strangers to the world of monsterdom, Kiss has been a real live fire-breathing, blood-spitting beast of a band for decades. 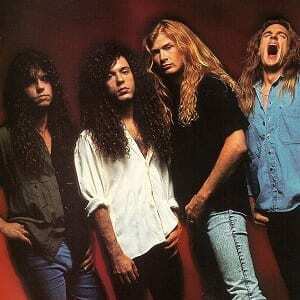 It should come as no surprise, then, that they would pen this sinister tune from the 1992 album, Revenge. While it is never directly expressed who is unholy, the lyrics serve up some hints: “I was there through the ages/ Chained slaves to their cages/ I have seen you eat your own/ I’m the cycle of pain/ Of a thousand year old reign.” Oh, Gene. Stop it. You are making us blush. When punk icons, The Ramones, paired up with horror icon, Stephen King, you get this rocker from the movie by the same name. 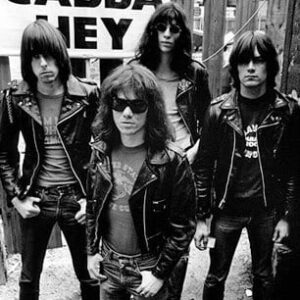 While the original version is a little more delicate than one would expect from The Ramones, the live version from Loco Live delivers this tune with all of the venom one would expect from the subject matter at hand. Well, there you have it; our Top 20 songs about monsters. We have surely left out some. Feel free to share your favorites in the comment section!